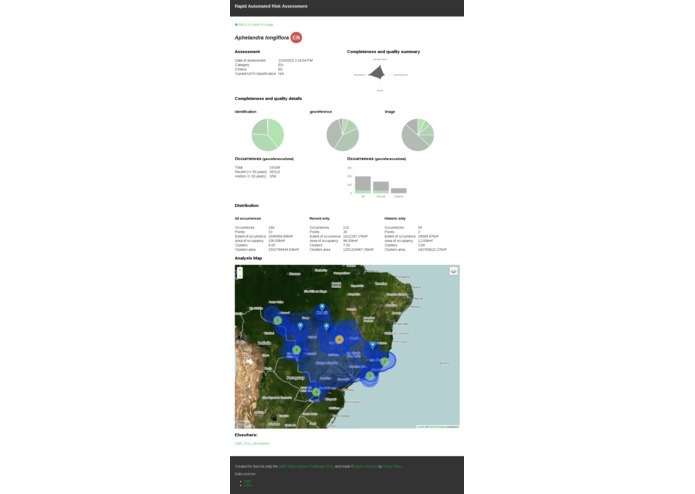 Perform fast geospatial analysis on species occurrences from GBIF, or upload your own data. Prioritizing conservation efforts has become one of the most crucial steps in preserving biodiversity (Hoffmann et al. 2010; Keith et al. 2004; Mace et al. 2008; Miller et al. 2007). 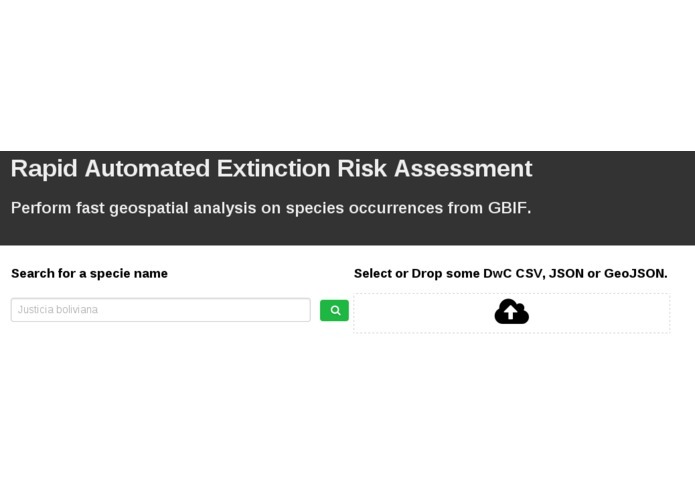 Here is tested a method to rapidly assess extinction risk for any specie(rapid assessment), following a simplified geospatial criteria of the IUCN methodology, exposing the used data and calculations, and exposed some quality metrics, so it can be reviewed and reapplied by specialists if given better data resources. 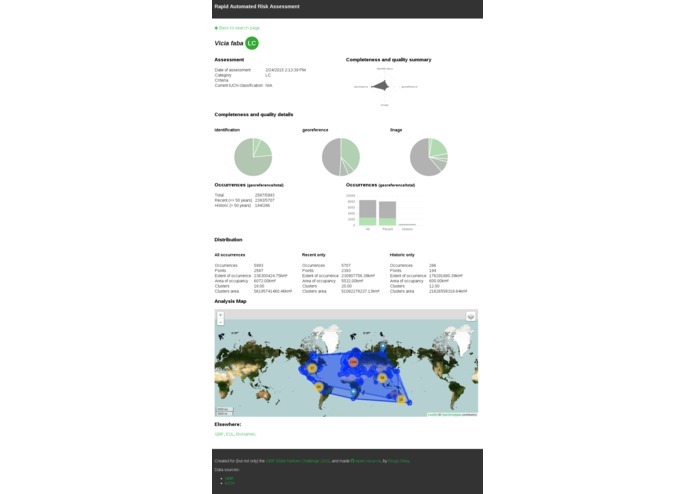 Currently limited to 6000 records from GBIF or 10000 records from upload.